That time of the year again. Unlike the last time, where I created a number of important categories, like security, usability, support, stability, and others, and then examined how each of the selected Linux distributions fared in each, this time, I'll use a different scoring method. For 2010, we will use brand new criteria. Rather than limiting ourselves to a small number of nominees, we will go wild with the range of distribution, and then take a look at their relative impact throughout 2010. For example, the best performing distribution in terms of good looks. Or the distribution with highest number of good changes or fewest security bugs. As always, this will be entirely subjective, so don't get pissed off after reading the article. If you find the end result unsatisfactory, write something and post a response of your own. Linux distributions change a lot, all the time. While there is some overall consistency in what they look like, sometimes, you get major overhauls. The theme is changed, the icons are replaced with a new set, and maybe even the buttons are shifted from right to left. This not so subtle hint points at Ubuntu. In its spring edition, Lucid Lynx, the latest Long Term Support (LTS) release has made the biggest leap in desktop design, becoming Mac-like, soft and rounded. Gone was the classic Gnome Tango slash Clearlooks, becoming Radiance and Ambiance, with windows buttons moved to the left side. The new design was praised for its aesthetic clarity, including the departure from the stock orange and brown toward more serene gray and aubergine. The change also included the integration of social thingies into the top panel. This has to be be, without a doubt, RedHat Enterprise Linux 6, which is also going to be reborn as free CentOS and Scientific Linux, available with a whole eon of support. 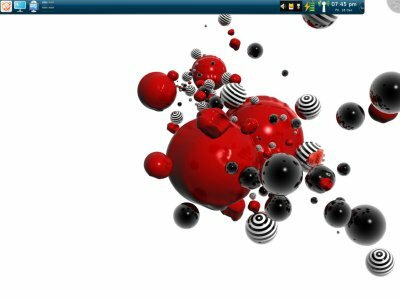 Released three years after version 5, RHEL6 is based on Fedora 12 and includes many improvements, most notably hardware support for modern devices and graphics cards. If you thought your CentOS 5 looked old and spartan with its 2.6.18 kernel, RHEL6 & sons are going to be a blast. This would have to be Pardus, the Turkish Linux. You will rarely hear about this handsome distribution, adorned with KDE4 and just waiting to be downloaded and used. 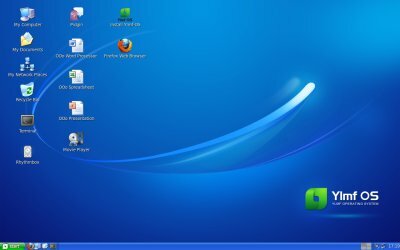 But it is one of the few distributions that actually has a desktop customization wizard, which lets you configure your system before you begin working. And it packs everything out of the box. We must also give credit to the Chinese YlmF. Like Zorin, it tries to look like Windows, so that fresh converts don't panic. It's a very sensible distribution, which has a huge growth potential. It would have to be Ubuntu. 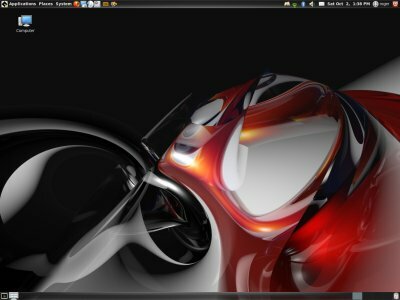 Year 2010 has seen tens, if not hundreds of remasters of Ubuntu. 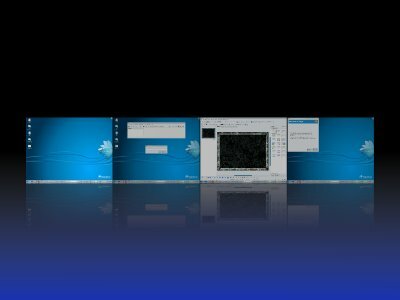 While most of these conversions are not so successful, they do point at the growing trend of making Ubuntu synonymous with Linux, or at least, a league of its own. To name a few, we have SuperOS, UberStudent and mFatOS. 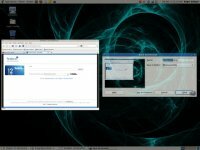 And then, there's also the Macbuntu project, with puts P in the PIMP. They are all live, but some are designed to work that way. 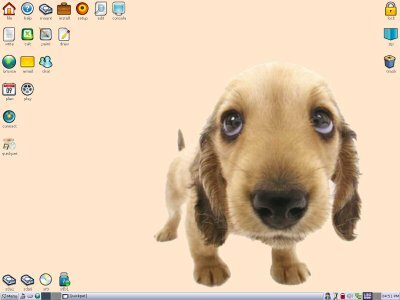 Without a doubt, Puppy Linux is the clear winner in this aspect. 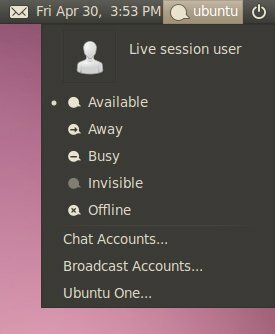 Usable out of the box, super fast, super light, with a mighty punch and a ton of programs, Puppy Linux is the king of the live session. You haven't seen it listed above, but it would feature under the glorious title of best all-arounder. And that would have to be Linux Mint. While it did underperform in the spring, the autumn release is just splendid. It's a perfect 10 for the tenth release. Linux Mint Julia has the best overall combination of ingredients. 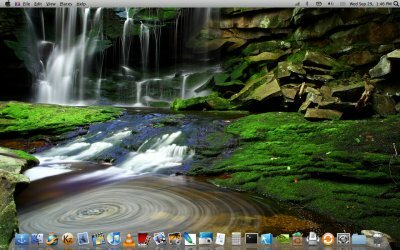 The best desktop theme and menu, the best combination of programs, the best package management. It's the most usable distribution out there, and it's just a pleasure to run. 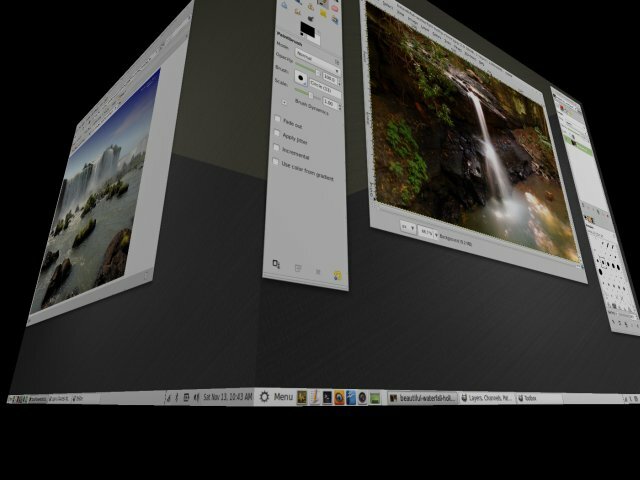 Linux Mint is not afraid to be different. While it is based on Ubuntu, it uses its own set of programs, sticking to goodies like Thunderbird, Pidgin, GIMP, and others, without following the herd mentality of the social integration and application dumbefication. Everything works out of the box, every little detail is carefully placed and designed, there's practically nothing bad you can think of. Upping this achievement is going to be really hard. But the title is well deserved. 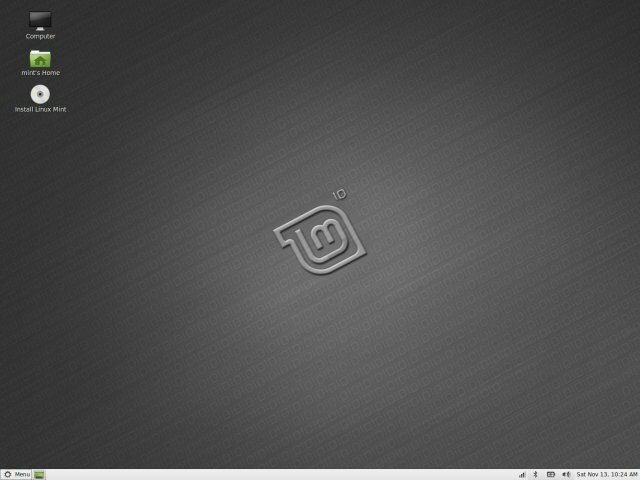 Best distro of 2010: Linux Mint 10 Julia. Bravo! Plain and simple, they did not win. openSUSE remains as stable as a rock, but openSUSE 11.3 is a very soft improvement over service pack 2, without any revolutionary changes that merit a medal. Still, if you're looking for stability and usability, you won't go wrong with openSUSE. Fedora has had a couple of fairly stable releases. However, they were both quite bland and took a while setting up properly. Fedora still leads in terms of default security and performance, but beware a geek bearing gifts. The security will actually bite you on the hand. PCLinuxOS and Mandriva remain strong contenders, but they did not manage to make a cataclysmic impact. What more, Mandriva, like so many Linux projects and companies, has seen a very bad year. Bankruptcy, forking, intrigue. 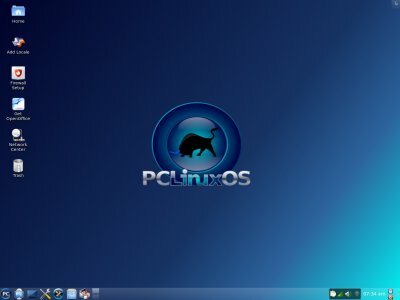 And PCLinuxOS still does not have a 64-bit version. And the article ends here. For more reading about tens of Linux distro reviews, you are welcome to hop into my Linux section and start wasting your bandwidth. I've missed many names, I know. For example, Debian or Sabayon. They are also very worthy contenders. But you can't have them all. Ultimately, it comes down to a few choice selections. Year 2010 has been very cool when it comes to Linux. Tons of great stuff, a torrent of disappointments, lots of in-fighting and forking. In this raging sea of storm and change, you will find a number of excellent distributions that should make a significant impact on how you use and enjoy the computer. 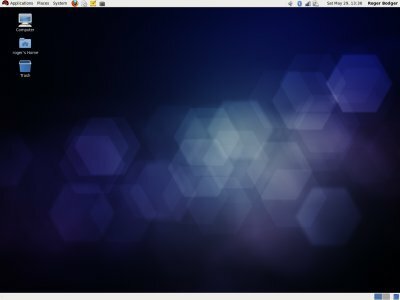 Perhaps Ubuntu looks the best, perhaps openSUSE is the reliable workhorse, perhaps Pardus is most user friendly, perhaps nothing beats Puppy when it comes to using your distro anywhere you go. But at the end of the day, when you combine everything into one equation, there's no doubt about the winner. It's Linux Mint. Have a great new year. See you around.